Visit us in the Atlas Valley Shopping Center in Lafayette, and discover a clothing store that dresses you for modern life and modern dance. In 2017, we saw that the community’s growth was heading east. 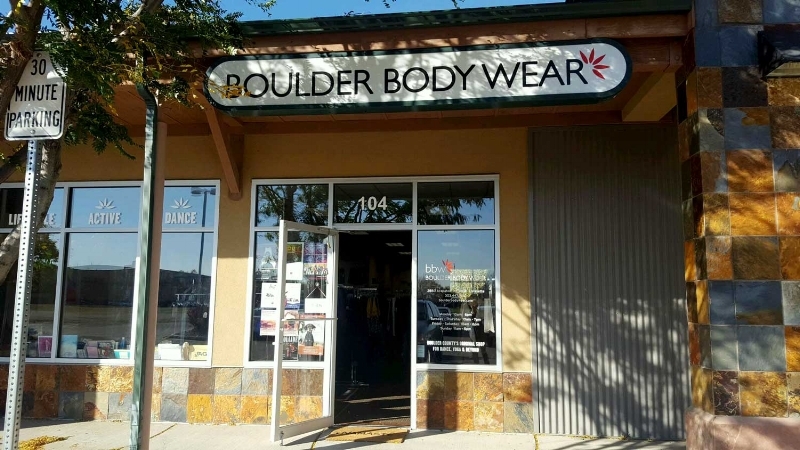 To support the dancers and dance studios of Lafayette, Louisville, Erie, Longmont, Broomfield and beyond, we opened a centralized Boulder Body Wear location in the Atlas Valley Shopping Center in Lafayette. We may have taken Boulder Body Wear out of Boulder, but we have not taken the Boulder out of Boulder Body Wear.